July 14th through the 17th Skapepark Štvanice located in Prague, Czech Republic, will host the annual Mystic SK8 Cup skateboarding competition. The contest is presented by Volcom and DC Shoes. Since 1996, Mystic Skates Company not only operates the TJ Slavoj skatepark, but a sk8 club with an indoor mini-ramp the only one in the country. This covered miniramp is the only place that skateboarders can use in Prague throughout the whole year. Each year Skapepark Štvanice course is redesigned by Radek Teichmann of Mystic Constructions with contribution from Brian Patch and Dave Duncan. This year's course will be located within an open air enclosure and will have designated bowl and street areas utilizing the latest skate obstacles available on the European market. The contest is sanctioned by World Cup Skateboarding. WCS will provide judges and compile the contest results which are included in the World Cup rankings (see WCS website). Street course, bowl and spectator seating are covered with a roofing system. Music is part of the excitement with Robot, Nimand, Radek Honc Express Radio, the Rocket Dogz, Notes from Prague and Chillakillerz. See the complete schedule on the Mystic SK8 Cup website. 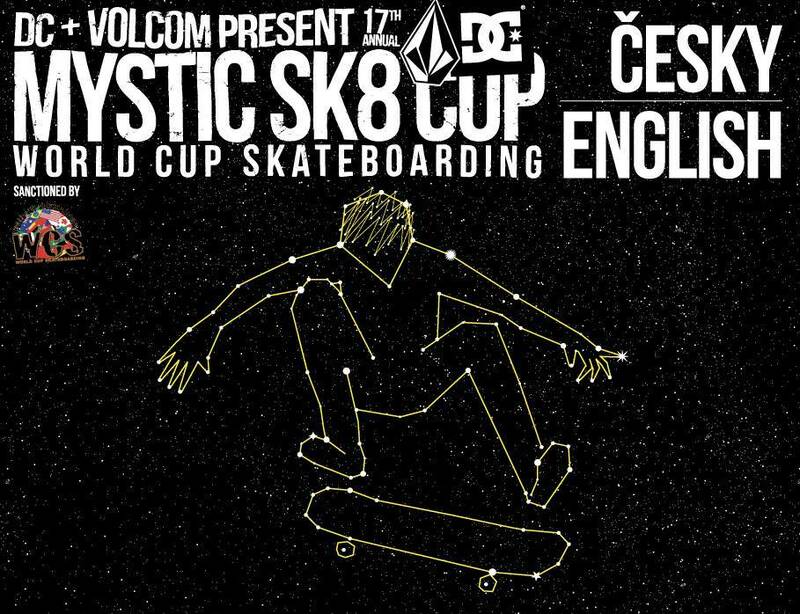 The ten best skateboarders from the Czech Cup Mystic Sk8 Cup will participate along with Prague's hometown hero and last year's Mystic SK8 Cup Men's Pro Street Champ, Maxim Habanec. The Mystic Cup allows skaters from Prague to compete alongside the best world skateboarders. Since 1997 the level of the Czech skateboarding steadily increasing and this year the best Czech riders - Peter Horvat, Thomas and Lukas Vlcek Vintr reached the level of European leaders. It seems that last year's Bowl Champs Ivan Rivado and Leticia Bufoni as well as Lacey Baker and prodigy Milton Martinez will also be on hand. Female skaters and skate fans will be happy to know that this year the Ladies' Pro Street prize purse has been incerased to $2,500. That's a $500 increase over last year's prize purse but still well below that of their male counterparts. The Bowl qualifiers will start on July 16th. Sunday, July 17th the finals for both the Street and Bowl will take place followed by a Best Trick Competition. Bowl finals will take place at 5pm and street finals at 6:30pm. The competition will climax with the popular Best Trick contest. Podium is at 8pm. Man, why don't they televise this stuff? So many skating competitions, and it seems like the only ones that make it to the small screen are X-games and Street League.